Industrial flair meets Arts and Crafts styling in the Graphite Youth Bedroom collection. Woods appear reclaimed; metal finishes look hand forged. 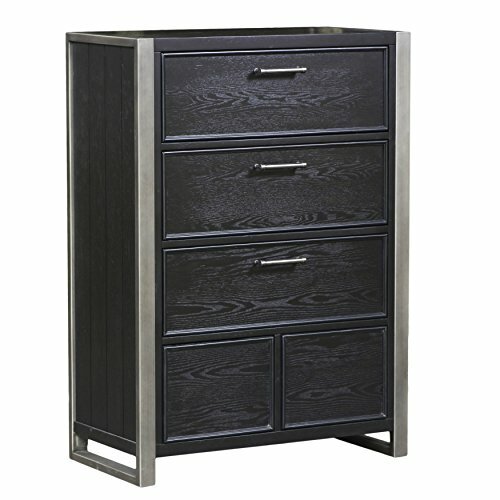 The wardrobe offers an additional storage option with two drawers and one door. Silver metal accents, substantial bar shaped pulls and a perforated metal door front reinforces the industrial theme.